VA loans make it possible for service members, veterans, and other eligible people to buy, build, improve, or refinance the homes of their dreams. 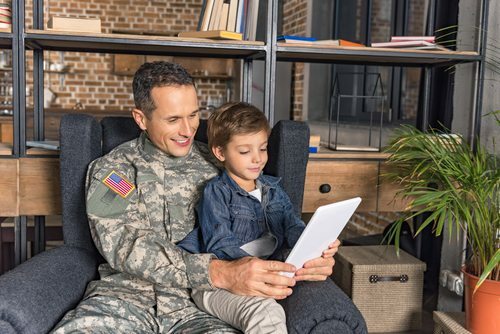 Thanks to the backing provided by the U.S. Department of Veterans Affairs, private lenders are able to offer these loans with favorable terms. You do need to meet certain requirements to secure one, however. The first step is to learn how to get a VA loan Certificate of Eligibility to prove that you qualify. With low interest rates and no required down payment, VA loans can be a great way to finance a home purchase, but they aren’t for everyone. They are a benefit offered by the VA and earned through service. Only individuals who are eligible for this entitlement can take advantage of the loan program. Why is a Certificate of Eligibility necessary for someone applying for a VA loan? As Military.com explains, this document, which is generated by the VA, serves as proof of a borrower’s eligibility. 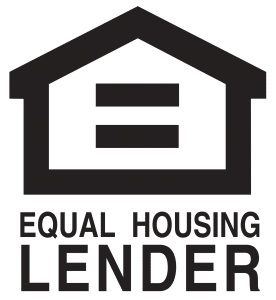 In addition, it provides data that the lender uses to calculate the amount of entitlement the borrower has available and some of the fees involved in the loan. Before generating a Certificate of Eligibility, the VA requires that you submit evidence of your service. The exact nature of this evidence depends on your situation. For example, a service member on active duty must submit a current statement of service that includes their full name, Social Security number, date of birth, dates of service, and the name of the command providing the information. Veterans will need to submit DD Form 214. Discharged members of the National Guard, surviving spouses, and other groups also have specific requirements regarding the evidence needed to secure a Certificate of Eligibility. If time is not of the essence, eligible borrowers in need of their Certificate of Eligibility can request it through the mail. In order to do so, you’ll need to gather the evidence of your service that is required by your situation and fill in the proper form. Most borrowers will use VA Form 26-1880, which is a Request for a Certificate of Eligibility. However, surviving spouses complete VA Form 26-1817, which is a Request for Determination of Loan Guaranty Eligibility – Unmarried Surviving Spouses. After completing the paperwork, you’ll simply need to mail it to the appropriate regional loan center. In today’s world, people routinely shop, bank, and pay bills online. If you’re in need of your Certificate of Eligibility, you can also get it online by visiting the VA’s eBenefits portal. After registering (if you do not already have login credentials), you must follow the onscreen directions to request the documentation you need. If you run into trouble using the website, the eBenefits Help Desk provides assistance on business days from 8 a.m. to 8 p.m. To request assistance, call 1-800-983-0937. If the thought of applying for your Certificate of Eligibility yourself is intimidating or unappealing, then you may prefer to apply through your lender. In many cases, lenders can use the VA Web LGY system to quickly secure an Automated Certificate of Eligibility. Most borrowers will simply need to provide their full name and Social Security number; surviving spouses will need to provide a copy of VA Form 26-1817. It is important to note that this method will not work in every case. If there is not sufficient data in the records, it may not be possible to process the application this way. When it works, however, it can produce results in seconds. Do you still have questions about how to get a VA loan Certificate of Eligibility? Are curious about the types of VA loans available? Would you be interested in discovering which VA loan best suits your needs? Turn to PrimeLending: Manhattan, Kansas. When you’re ready to purchase the home of your dreams, our friendly, knowledgeable team will be happy to help you capitalize on the many benefits of a VA loan. Contact us today to learn more.